This post came about from trying to figure out what could I do with or without a tour in Borneo. When I arrived in Malaysian Borneo I was met with an incredible frustration. I was sitting on my computer in my hostel trying to figure out what things I NEEDED to do with a tour guide and what things I could do by myself. I wanted to keep costs down and the tours were really expensive! 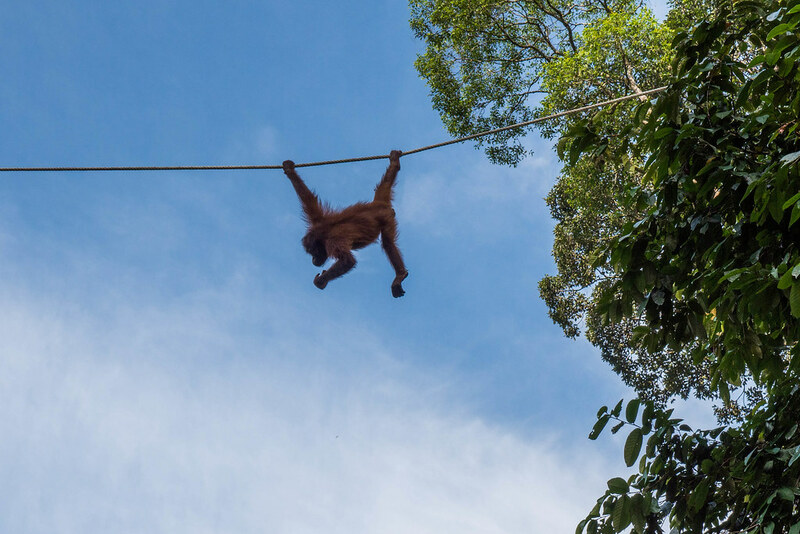 Borneo, incredibly, has somehow managed to make it appear as though every activity you might want to do is in dire need of a guide to even think about doing it! Awesome for them, but if you don’t have the money it’s pretty crap. Every single piece of information I read on the Internet and even the hostel receptionists and information offices told me that I would need a tour guide for almost everything. This is completely untrue. Yes, some places of Borneo are remote but Kinabalu Mountain is the only place where by law you must go with a guide. Here I de-code some of the most popular tours and tell you wether you need a guide or not. I mainly inhabited Sabah, the northern state of Malaysian Borneo, but I also popped over to Sarawak to visit Mulu National Park for seven days. Travel within Malaysian Borneo is cheap and easy. For day trips there are local buses that cost almost nothing. Just turn up to the terminal and ask; the next bus will probably be leaving within a few minutes. For longer trips air-conditioned express buses are super comfortable and relatively safe. You can get from place-to place for around RM33 for a five hour trip. For flights within Borneo check out MASwings. They have incredibly low prices and fly to the most remote areas in Borneo and to Brunei as well. Yes you do need a guide for Kinabalu Mountain. However, here’s the good news: you DO NOT need to book your hike through any of the really expensive Tour Offices or websites. 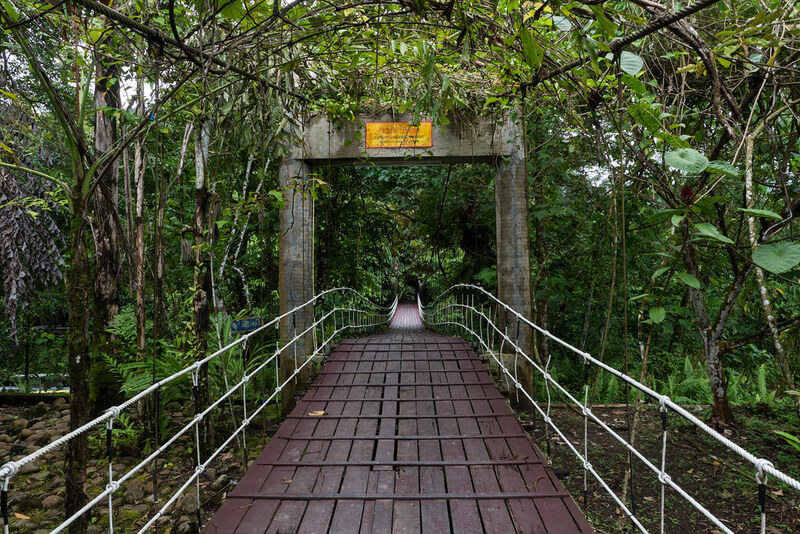 You can simply catch a local bus from Kota Kinabalu to Kinabalu Mountain Lodge Hotel near the park entrance and book a guide through the park. A useful article on this day-trek was written by Kristin of BeMyTravelMuse. You definitely do not need a guide for the Sanctuary. There are Hostels located within a short walk away and a local bus can be caught from Sandakan to the park entrance easily. There is loads of information within the centre about orang-utans so a guide really, really isn’t necessary. Turtle Island is a tricky one. While researching the tour I found that you can do Turtle Island solo. However, there is a catch. Only 60 people are allowed on the Island per day and I “heard” that the tour companies will almost completely book out these spots before anyone else gets a chance. They then charge high prices for the convenience of last minute bookings. So here it depends on what you want to do. If you want to do it solo you can just turn up to Crystal Quest at around 9am at Sabah Parks Jetty and perhaps you will get lucky if there is space. If you have the time I would recommend this. But if you’re short on time and Turtle Island is a MUST DO I would suggest booking as early as possible with STW Adventure (they were the cheapest I found). For the Kinabatangan River you do not need a guide. But I did do a tour and here’s why: I wasn’t going to save THAT much doing it on my own and with the tour I had everything included (even a pick up from my hostel in Sepilok) so I could just sit back in the boat and wait to see awesome wildlife. And that’s what was most important to me. To maximise your chances of seeing the most variety of wildlife I would recommend at least four trips during the day and one at night on the boats. Here is a comprehensive guide on doing Kinabatangan on the cheap from PleaseNotAnotherTravelBlog. Only 120 people are given permits to dive on Sipadan per day (as of April 2013). This greatly reduces your ability to dive last-minute. The Sipadan Island Permits will be done on your behalf by either the resort/hotel you choose to stay at or the dive operator you dive with. If they run out of permits you may be able to obtain permits from other hotels/operators at an extra cost. The dive operators for Sipadan can be money-hungry and hard to deal with so make sure you pick an operator who has good reviews and who can ensure you will get a permit. Planning ahead and research is a is a must. If you’re looking for tours and things to do make sure you do your research beforehand! There are often ‘online saver’ prices when you book tours online. In my experience, leaving it to the last minute usually results in people getting ripped off. 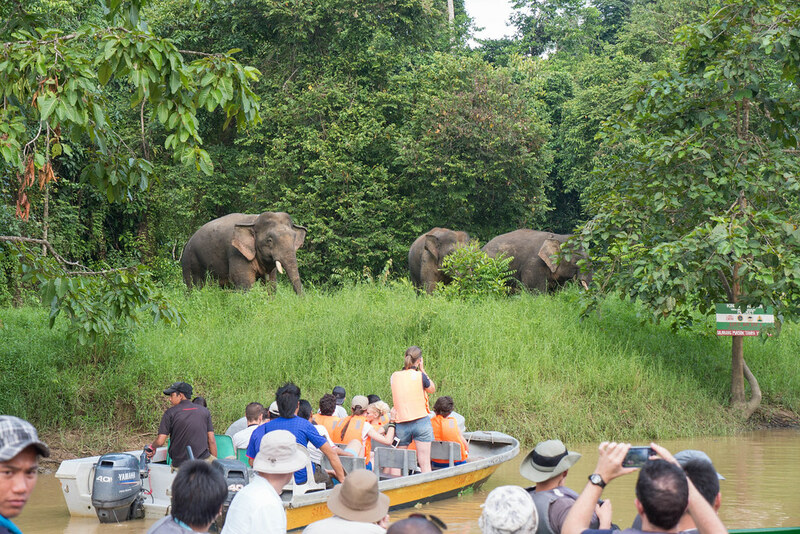 Do you have any other tips for Activities in Borneo? Please let me know about them in the comments below. Thanks for all the great information.. you’ve just given me a great list of things to research for my trip to Borneo in June! Ohhh exiting! I LOVED Borneo. 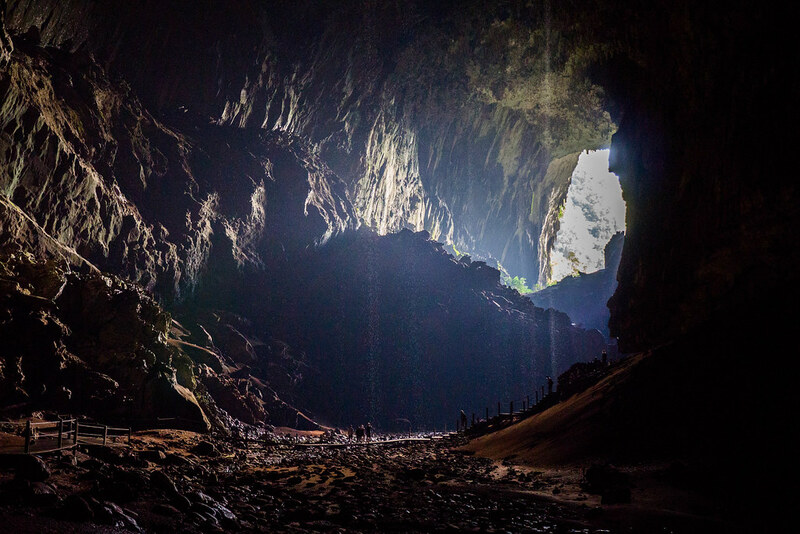 Will you be heading to Mulu National Park? That was my favourite! Excellent! I was just wondering about this when I was thinking about our trip to Borneo next year. I cannot wait to experience the island and go diving in Sipadan. Can you recommend any of the diving operators? I didn’t have my dive certificate in Borneo – I got it a month later in Thailand – so no, I can’t sorry! How was your trip. Can you share on here. I am going in may and still planning …. I am going to sipadan for 5 days dive. Would you recommend going to turtle island as well. I will begin Borneo only for 20 days in May. In which Hostel did you stay in the Mulu National Park?